"This romantic-comedy musical of a mismatched couple may be no Barefoot in the Park, but it's smarter and more self-aware of its rom-com contrivances than most Hollywood movies, and works harder to give its wacky antics a bit more believable justification. Rolling along with humor and heart, and one spectacular musical number, it unfortunately succumbs to a deus ex machina ending." "A lot of movies try to sell the sanctity or pathology of the family, sliding over complications that might get in the way of easy endings. 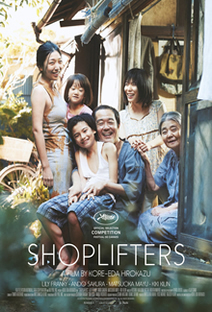 In “Shoplifters,” a beautifully felt family drama, the Japanese director Hirokazu Kore-eda dives into the mess with a story about a household on the ragged edge. Kore-eda has the sensitive, calibrated touch of a master safecracker, and he’s a virtuoso of emotional and narrative buildup." 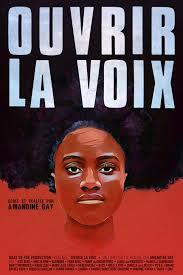 "'Ouvrir la Voix' is as radically frank in style as in substance: nearly all of its two-hour running time is filled with interviews, done in extreme closeup, with twenty-four black French women whose remarks Gay organizes thematically into sixteen chapters. Some were born in France, some migrated to France; some are Muslim, some are Christian, one is Jewish; they are of diverse sexual orientation as well. Though the movie is mainly closeups, it provides, in its brief span, the sense of a distant journey that ranges far through an unseen France and deeply into the lives of people who live there, albeit in the margins of official culture."